Homeowners, gardeners, professional landscapers and commercial growers have discovered Liquid Fence® Deer & Rabbit Repellent Concentrate2 stops deer and rabbit damage. 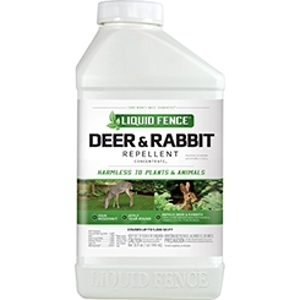 Unlike other deer and rabbit repellents that require the animals to browse to be effective, Liquid Fence Deer & Rabbit Repellent Concentrate2 works on scent, so deer and rabbits don’t even have to take a bite to be repelled. Because the animals’ natural aversion to this scent will never diminish, Liquid Fence Deer & Rabbit Repellent Concentrate2 DOES NOT have to be rotated with other repellent brands. Peanuts are a cornerstone of this ration. 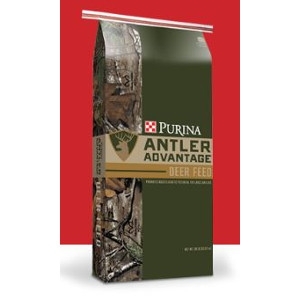 Diamond V Yeast to aid in healthy rumen activity – translating in a deer efficiently utilizing each component of this ration (most bang for your buck). 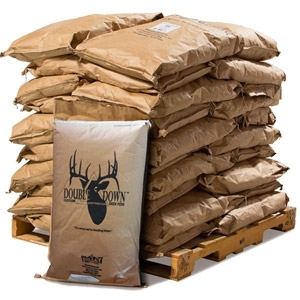 Complete Vitamin and Mineral Package – We have developed this mineral package over the past 20 years and feel it provides healthy levels of both macro and micro ingredients that play a vital role in a healthy deer population, antler growth, and development. 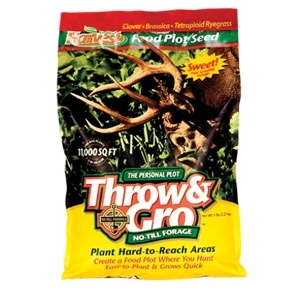 This is a Premium Supplemental Feed formulated and proven to grow big deer. 50lb Bag. 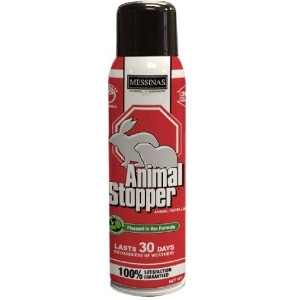 Messinas Animal Stopper 15 Oz. 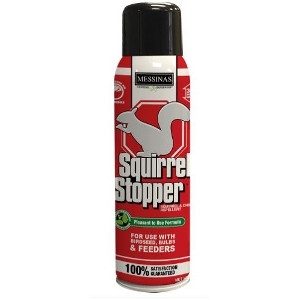 Messinas Squirrel Stopper 15 Oz. 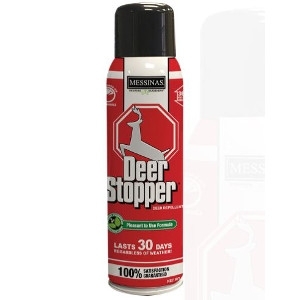 Messinas Deer Stopper 15 Oz. 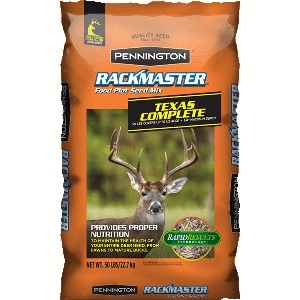 Rackmaster® Texas Twist is a custom mix of brassicas and legumes that provides an abundant amount of protein rich forage for deer, turkey and other wildlife. 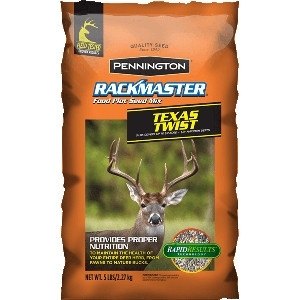 Rackmaster® Texas Twist makes an ideal food plot that will germinate quickly to provide immediate high protein food supplies to fill the nutritional gaps found in nature. With fast germination and immediate forage production, your plots will start feeding wildlife days after germination and continue feeding throughout the fall, winter, spring and summer months because of the staggered growth habits of the different plants in this mixture. Rackmaster® Texas Complete contains a custom mix of smalls grains, legumes, and brassicas. These fall mixes are regionally developed to provide the best plantings your money can buy for your area. There's probably nothing in nature deer love more than sweet corn! 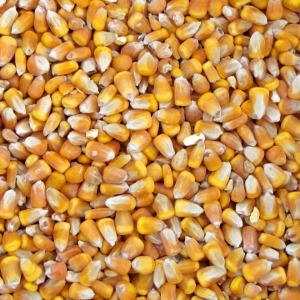 This is because of sweet corn's natural sweetness. 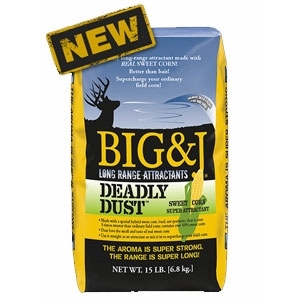 DEADLY DUST is a sweet corn powder that is derived from the sweetest sweet corn hybrid available – with over 5 times the sugar content of field corn! Deer love the smell of DEADLY DUST and the taste will drive them wild. 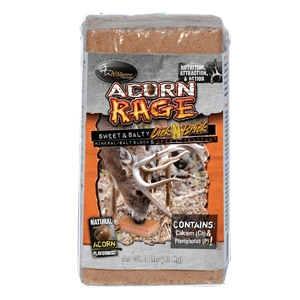 Pour it near your stand or in front of your cameras. 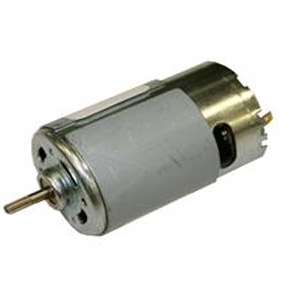 Or, use it to supercharge your field corn. DEADLY DUST, is better than bait! 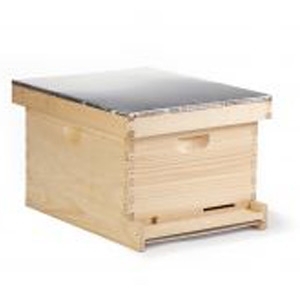 The Little Giant® Smoker will help to calm your bees when working on your hives. 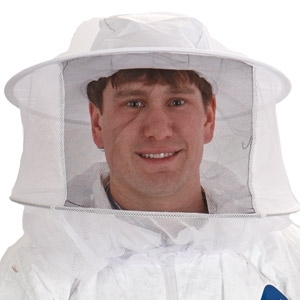 A surrounding wire grid protects you from the heat of the smoker, allowing you to safely smoke your hives throughout your inspection or harvest. 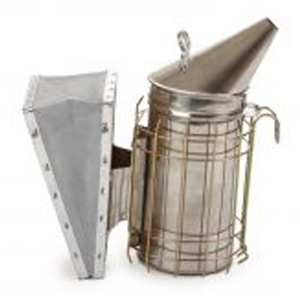 A properly packed and lit smoker can last throughout the day for your work. 1/4" Hub. 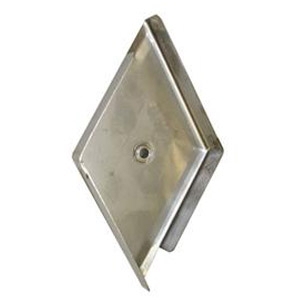 31/2" x 6-1/4" Triangle style plate spinner. 1/4" Hub. 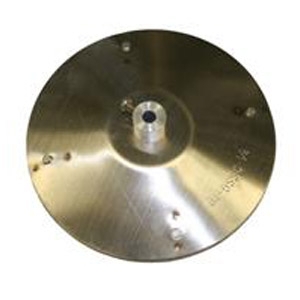 5" x 2-3/4" Diameter large plate spinner. 1/8" Hub. 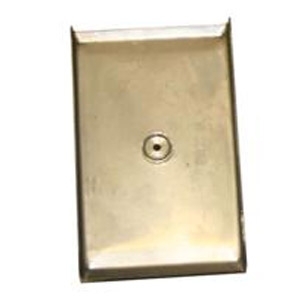 2-5/8" X 4" Plate spinner. 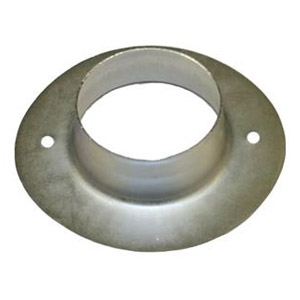 1/4" Hub gate plate spinner. 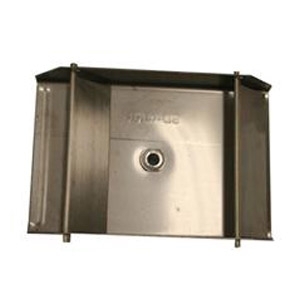 Swing gates on both ends help prevent feed loss. 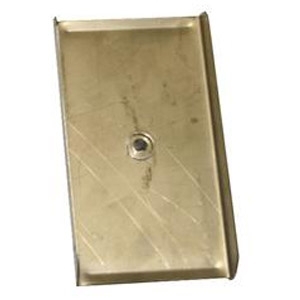 1/8" Hub gate plate spinner. Swing gates on both ends help prevent feed loss. 1/4" Hub. 5" Diameter round cup spinner. 1/8" Hub. 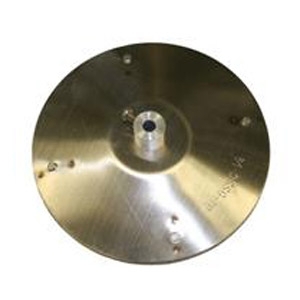 4" Diameter round cup spinner.